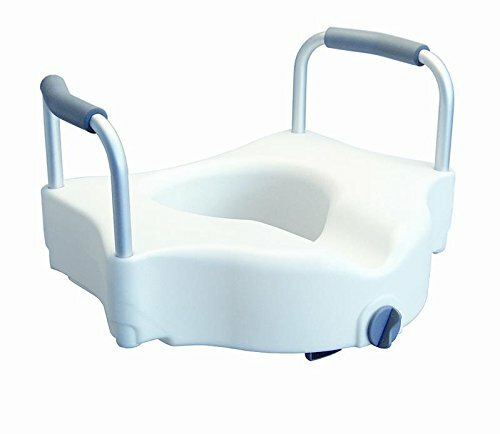 MediChoice Raised Toilet Seats with Raised Arms increase seat height by 4.5 inches, which reduces bending effort of users. They feature a simple clamping device that locks securely to the sides of the toilet and prevents the seat from shifting. The seats feature a contoured seat for comfort and can accommodate users up to 300 pounds. The armrests are foam padded for secure grip and user comfort. The overall width is 20.75 inches. If you have any questions about this product by MediChoice, contact us by completing and submitting the form below. If you are looking for a specif part number, please include it with your message.